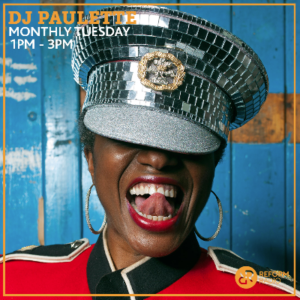 I am super buzzed to announce that my guests for December’s Reform Radio Takeover are Will Automagic and Nita Aviance – collectively known as THE CARRY NATION, they’re two of New York’s fiercest and finest who will be bringing their eclectic blend of house, techno and whatever else takes their fancy to our ARIAS winning station . The Carry Nation has been producing tracks and remixes for the past 5 years for such labels as Batty Bass, TRAX, Nervous, Get Up, TRIBAL, Night People, DFA, & Twirl. Their party, also named The Carry Nation, started at Brooklyn’s infamous after-hours spot The Spectrum, and lived at both Steel Drums & 43 Scott before landing at Good Room. Their crowd is a mix of gay music heads and their straight friends who get it… whilst their productions and the infamy of their parties have brought them around the world from Berlin to Chicago, Helsinki to San Francisco, Milan & Paris to Pittsburg & Austin, to their second city London, plus Block9 at Glastonbury Festival. In the end though, home is where the heart is, deep in the art, heart and city of New York. Tune in from 1pm – 3pm (GMT) on Tuesday December the 5th, 2017 to hear the Carry Nation bringing it for you children, New York style. Check the play list in real time, join the chat, watch the live stream and catch us live on Youtube too.